To change a driver in your group, contact Sam Erlewine, 340-0506. 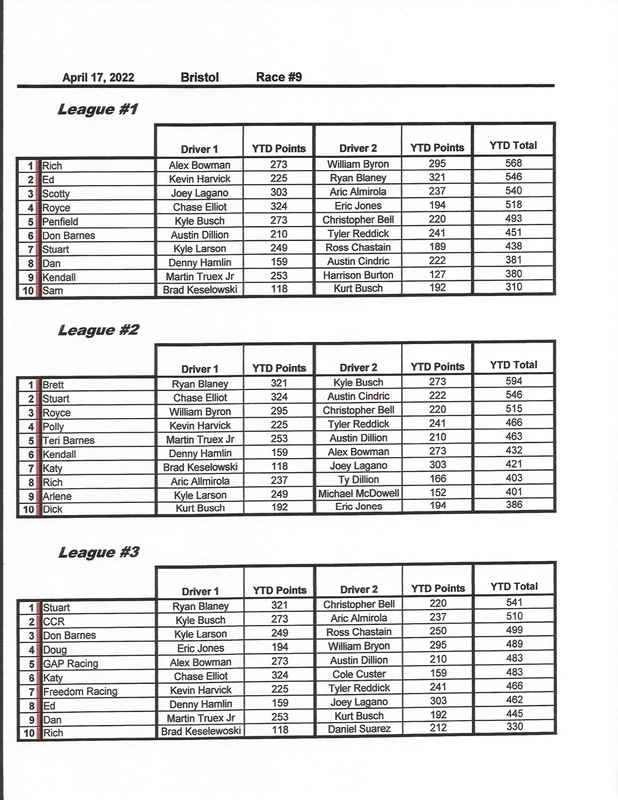 Driver total points for the year and your 2 driver team year to date (YTD) points are being posted. To see your driver's weekly points refer to nascar.com, weekly results.